“Coboat“ is a coworking space on a catamaran. In November 2015, “Coboat” will begin its journey in Southeast Asia en route to the Maldives and the Seychelles while passing through the Mediterranean Sea in the coming year. 30 meters long and equipped with a 32 meter high mast, Coboat is true mobile living and working. Coboat features a space of more than 700 square meters, not to mention a trampoline net as big as a volleyball pitch. Launching at the end of the year, Coboat will be the very first coworking space on the water. 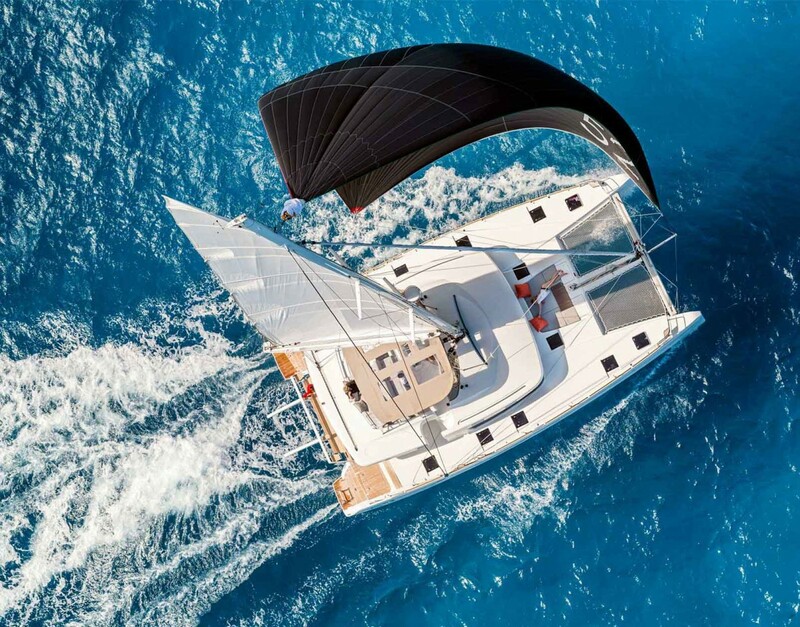 “Coboat” is a catamaran with room for up to 20 digital nomads, entrepreneurs, founders and freelancers alike. The vessel offers weekly or monthly booking at around 1,000 Euros per week. The package includes accommodation, catering and an unobstructed 360° view of the sea. It provides a work-life balance like no other place in the world: High-speed internet, a fresh breeze and the “Coboat” community to enable creative and efficient working. Coboaters enrich their experience with diving, photography or simply relaxing in the sun. Numerous other activities such as brewing beer or learning the ABC’s of sailing offer plenty opportunities to relax. “Coworking spaces are available everywhere, whether in Berlin, Chiang Mai, Barcelona or Bali”, says James Abbott, one of the initiators and operators of “Kohub” in Koh Lanta. “When it comes to mobile living and working, the desire for sunny places increases massively.” It was this desire that led the four Coboat founders to bring coworking to the sea. “Coboat” begins its journey in Thailand. Starting in November, the catamaran will be in Southeast Asia for at least three months. The tour then heads West en route to the Maldives and the Seychelles. Come spring/summer of 2016, Coboat sails towards the Eastern and Western Mediterranean Sea until it crosses the Atlantic to arrive at the Caribbean at the end of 2016. Starting in June 2015, the first batch of limited early-bird tickets will be offered through coboat.org. 20 spots are available at a time, allowing for approximately 1,000 spots per year. A Kickstarter campaign will start soon after. The campaign will offer supporters additional tickets before they go on regular sale, starting in July. “If you want to work or realise ideas and concepts in a collective, Coboat brings you together with like-minded people from all over the world to help develop new ideas and business.”, outlines founder Tommy Westlin his vision of Coboat. Coboat is powered by environmentally-friendly, sustainable technology, which includes a state-of-the-art electric motor powered by solar and wind energy. Coboat is non-profit venture. Net income will be re-invested into maintaining and further developing the project, as well as charity and aid projects for the areas where the Coboat community stays. “Coboat“ is a coworking space on a catamaran that travels the world. Digital nomads, founders or freelancers are able to book one of the 20 available spots by week. The ticket includes a accommodation, catering and high-speed internet. Additionally, Coboat enables inspiration and knowledge exchange, as well as numerous possibilities to experience the world right on the water (sailing, diving, photography, cooking).